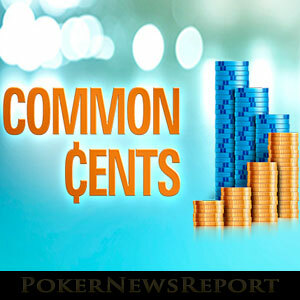 PokerStars is offering micro-stakes players the opportunity to win life changing amounts for pennies in this week´s “Common Cents” tournament series. 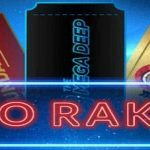 On PokerStars this week the site will be hosting two poker tournaments each day with guaranteed prize pools that players can buy into for pennies – literally. 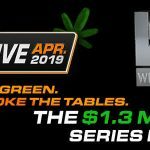 The series kicks off today at 14:05 (ET) with a $100,000 guaranteed tournament that has a buy-in of $0.01, and concludes on Sunday with a $25,000 guaranteed Main Event (buy-in just $0.99). Between the two headline events another twelve NL Hold´em tournaments are scheduled for 12:00 (ET) and 15:00 (ET) each day, with a further $125,000 up for grabs. Already each of the tournaments has thousands of entries, and you are going to need to register quickly if you want to play in the first “Kick Off” event – as it is quickly reaching its cap of 300,000 entries! Event #1 of the “Common Cents” series is going to be a massive tournament. The top 26,923 players are guaranteed to pick up something for their efforts (a min-cash is worth $1.00) and those who reach the final table are guaranteed $697.00 for their investment of $0.01. The winner stands to pick up $10.000 – that´s some ROI! 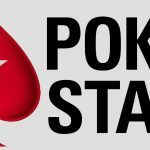 In addition to the cash prizes, PokerStars will be randomly giving away more than $500.00 in Main Event tickets for Sunday´s feature tournament. 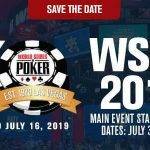 The giveaway will begin ten minutes after the tournament starts, when players on twelve tables will each be given a Main Event ticket, and continue throughout the event. In addition to picking up valuable cash prizes in each of the tournaments, players who make the money in any of the events will automatically be awarded points on the “Common Cents Leader Board”. The leader board runs for the week of the promotion (October 5th to October 11th), and the top 100 players at the end of the week will share in $1,000. Players can check their position on the “Common Cents Leader Board” by logging into their PokerStars account and clicking on “Leader Boards” on the right hand side of the Main Lobby. Players on mobile devices can also check their progress by selecting “more” (iOS devices) or “extended menu” (Android devices” and then selecting “Leader Boards”). The Common Cents are easy to find. Simply log into the PokerStars client. Select “All Games” > “Online Events” > “Common Cents”. Each tournament is a freezeout (no re-buys, add-ons or re-entry) and each has late registration available for an hour – probably except today´s “Kick Off” event which will likely reach its cap before the tournament starts. Players looking for a little extra value should check out the $0.01 qualifiers to the Common Cents Main Event. The satellites take place at 15:00 (ET) each day up until Thursday, and each has 100 seats added for the feature event of the Common Cents series – the winner of which will walk away with $3,925! PokerStars “Common Cents” – it makes common sense to get involved with this promotion if you are a micro-stakes tournament player.